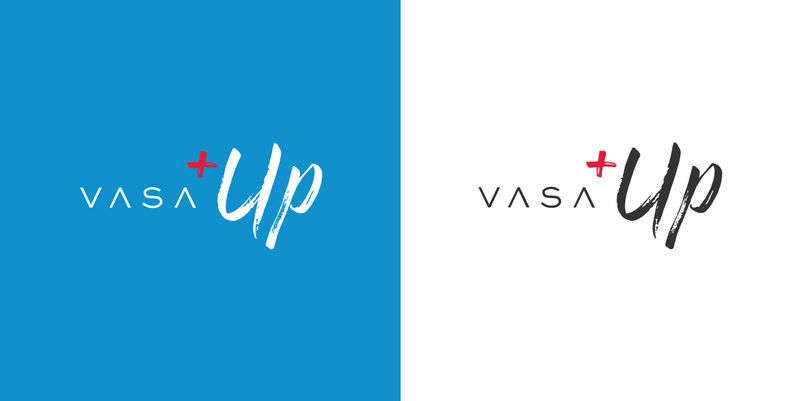 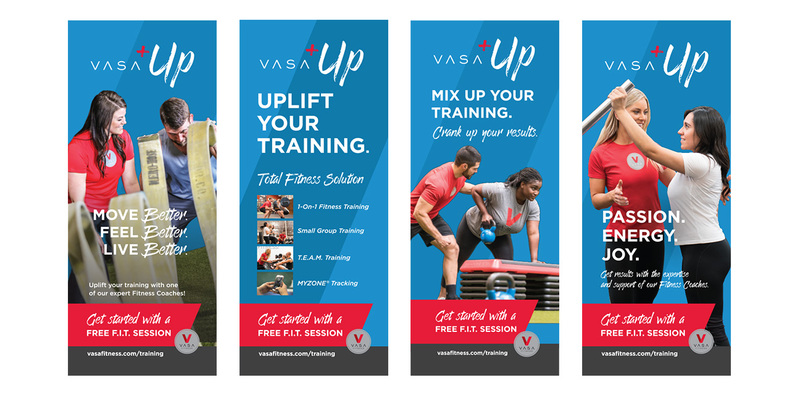 The VASA functional training program is a fun, innovative mix of 1-on-1, small group, and T.E.A.M training. 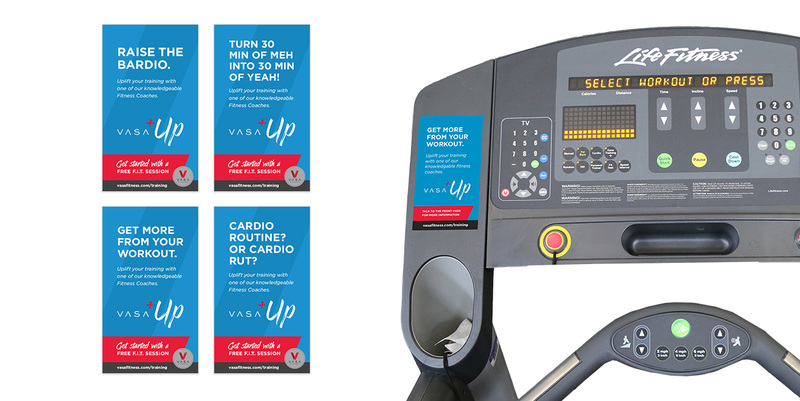 We packaged the program under the aegis of “VASA Up” to communicate to the gym member that this is a supplemental program designed to uplift their training. 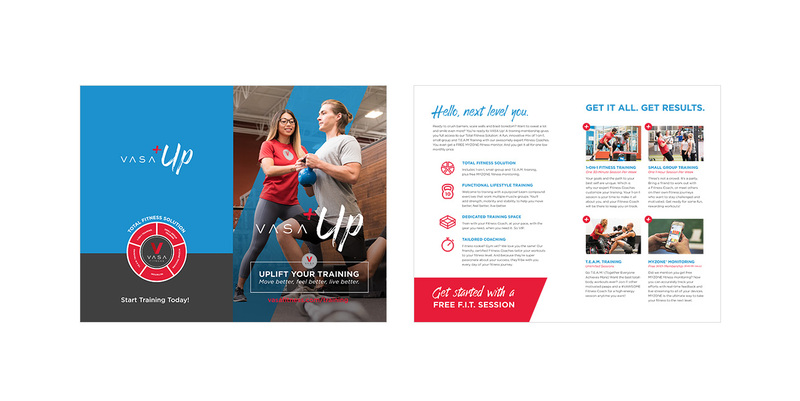 We used a secondary color palate to help distinguish the training program and make it something that would stand apart. 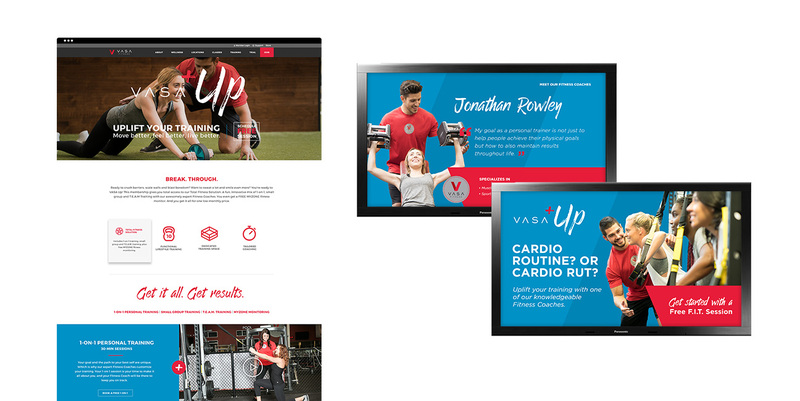 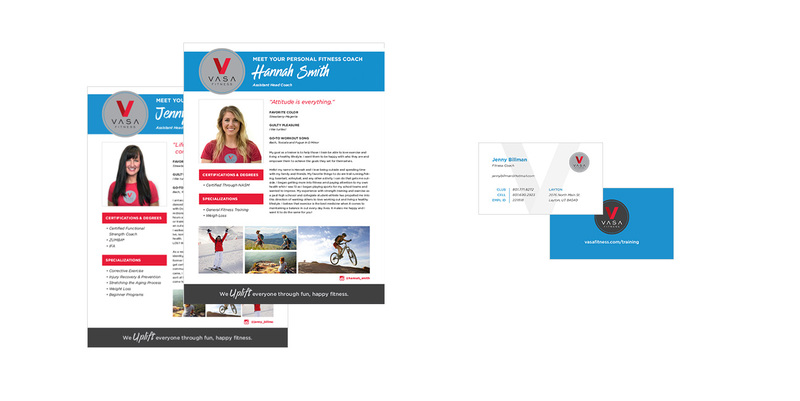 Strategically placed elements included, signage, pop-ups, brochure, trainer bios, stickers, video, and webpage revamp.